Ural State University of Economics is one of the leading economic universities in Russia. It is a powerful, modern, dynamically developing scientific and educational center, where the business leaders of the Urals and other regions of the Russian Federation, as well as the CIS countries, are trained. The priority task of the University is to integrate into the economic life of the region. The training is conducted in accordance with the long-term need of the economy, so the University develops and implements unique educational programs. To improve the quality and efficiency of education, a number of specialized departments have been established in Ural State University of Economics, cooperating with large enterprises and state agencies. Employers value the quality of training highly qualified specialists in the field of economics, finance, regional and municipal economics and management, food technologies, merchandising, service, and tourism. For 51 years, the University has trained 130 thousand specialists. More than 15 500 thousand students (of all forms of training) are taught under the guidance of 605 teachers. 541st place in terms of citations for five years among 10745 organizations in the Russian Science Citation Index of the Scientific Electronic Library of Russia (RSCI). The University includes four institutes: the Institute of Economics, the Institute of Finance and Law, the Institute of Trade, Food Technologies, and Service, and the Institute of Management and Information Technologies. The Institute of Economics specializes in training specialists in the field of international economic relations, international trade, system analysis of the economy, and national economic system. The Institute of Finance and Law is a center for training specialists in the fields of finance, banking, money circulation, law, accounting, audit, taxation, investments, and securities market. The Institute of Trade, Food Technologies and Service prepares professionals able to design small and large enterprises of food industry, catering and service sector, and to work in the field of trade, customs, tourism and hospitality, as well as commerce and logistics. The Institute of Management and Information Technologies trains specialists in the areas of advertising, marketing, IT, managers and civil servants. There are training programs both of broad and narrow specializations. Graduates of the Institute work in the information sector of large and small businesses, regional and municipal authorities. The University works according to the principle of multistage education. Here, besides pursuing bachelor’s and master’s degrees, they prepare academic personnel upon postgraduate and doctorate programs. Postgraduate education is one of the strategic areas of USUE development. The University has accumulated experience in the guidance and consulting of applicants for scientific degrees, and scientific schools in various fields (economics, chemistry, technology, sociology) have been formed. In 2017, on the basis of USUE and South Ural State University a new Dissertation Council (D 999.118.02) was established for specialties "Economics and management of national economy (marketing, management) (economic sciences)" and "Finance, money circulation and credit (economic sciences)". Due to equal attention to science and educational process, USUE wins various contests and receives grants, develops a number of scientific schools, and has strong research facilities. Besides, since 2011, USUE actively participates in the WorldSkills movement of professional excellence in the Urals. This year the University team took part in competitions in the competence "Entrepreneurship" and competed for the right to enter the final of the V National Championship "Young Professionals - 2017" (WorldSkills Russia - WSR). To train specialists of a secondary professional level, Ural State University of Economics runs a college. It was established with the aim of training of mid-level specialists - workers in the sphere of economy and management, service and tourism, and is based on the concept of continuous learning "School-College-University". USUE is actively positioned as a center for international sports events. We would like to remind that the University won the All-Russian competition of the Association of Student Sports Clubs of Russia (ASSC of Russia) and received a certificate for the construction of an open-air ground "Studzachet ASSC of Russia." In addition, the University will build a multifunctional stadium next to the dormitory in Umeltsev Street. Among USUE students there are athletes who have achieved high results in competitions of various levels in volleyball, basketball, speed skating, rock climbing, sports tourism, checkers, powerlifting, table tennis, and badminton. Annually in the framework of the Eurasian Economic Youth Forum, major sports competitions are held, mainly in national sports. The University is expanding international cooperation within a powerful unifying resource of different countries - the Eurasian Economic Youth Forum. It is a platform for discussions on topical areas of the national and world economy, an international youth movement uniting young people under the auspices of Ural State University of Economics and with the support of the state authorities of Russia, as well as political, public and ethnocultural international youth organizations operating in more than 70 countries of the world. The start of EEYF in 2009 was marked by the International Business Game "SCO - 2039", in which students from 11 countries – members of the Shanghai Cooperation Organization participated. During the existence of the forum, it was visited by more than 15 thousand intellectual, active and motivated young people from 66 regions of the Russian Federation and 73 countries of the world. More information about the forum can be found at the forum website. The active participation of the University in international exchange programs also contributes to the development of international relations. More than 650 foreign students, Master’s students, postgraduates and doctoral students from 46 countries of Africa, Europe, the Middle East, Asia, and CIS visited USUE . 23 scientists from Great Britain, France, Germany, USA, Czech Republic, China, Ecuador, Benin, Equatorial Guinea, and other countries are proud to be the USUE Honorary Professors. Africa (Benin, Equatorial Guinea, Gabon, Ghana, Djibouti, Zimbabwe, Nigeria, Congo, Cote D'Ivoire, Mali, Tanzania, South Africa Republic). 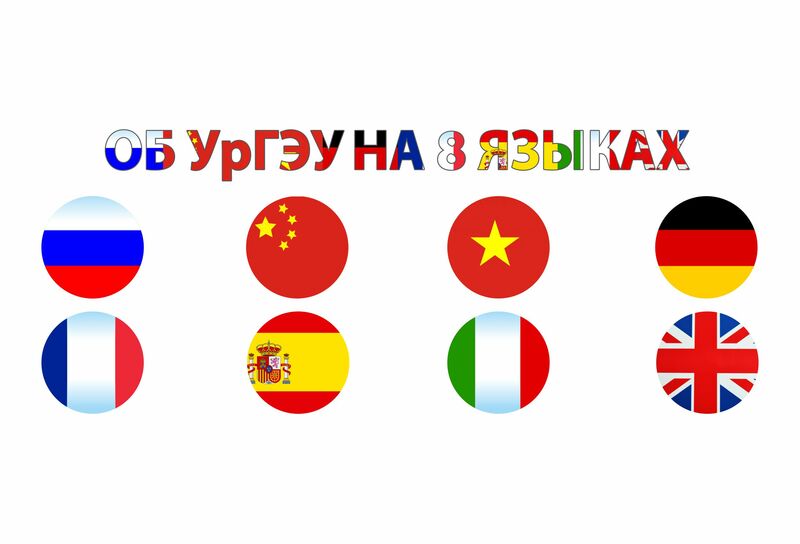 Asia (Armenia, Azerbaijan, Bangladesh, Israel, India, Kazakhstan, China, Korea, Kyrgyzstan, Mongolia, Tajikistan, Thailand, Turkey, Uzbekistan, Iraq). 650 foreign under-graduate, graduate and post-graduate students from 46 countries of Africa, Europe, Middle East, Asia and the CIS study in USUE. 23 academics from the UK, France, Germany, USA, the Czech Republic, China, Ecuador, Benin, Equatorial Guinea, and other countries are given the title of USUE Honorary Professor. Studying at Ural State University of Economics guarantees not only the quality of the knowledge gained but also the possibility of establishing links both at the regional and international levels. Everyone who studied in these walls with gratitude remembers the student years. There is the Alumni Association of the University. It is a non-profit organization created for the purposes of educational, scientific and cultural development of the University, designed to become a link between students, graduates, and the University. The Association provides an opportunity to establish informal contacts between people, contributes to improving business and professional level of its members. With the help of the Association, educational, educational and scientific tasks are being solved, the best traditions of the University are preserved and multiplied, and the prestige of USUE in the world community is growing. The quality of education at Ural State University of Economics is confirmed by numerous studies. For example, for three years USUE tops the list of universities which graduate the most expensive specialists in the labor market of Yekaterinburg, according to Delovoy Kvartal magazine, and was included in the rating of the best universities in Russia in terms of salaries of graduates in the field of economics and finance, composed by portal SuperJob, taking 14th place.